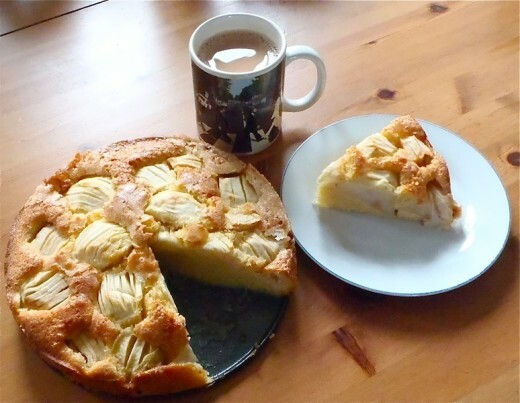 When my son got back from his school trip to Germany he was very excited for two reasons, firstly he had a broken leg –which meant he could miss school, and secondly because the family he was staying with baked him a sunken apple cake for his birthday. That was exciting because we had already baked one ourselves here at home. We got the recipe from his German teacher at school and it felt very nice to know that it was indeed an authentic recipe that people actually do bake in their homes for special treats. It’s not difficult to make and it’s well worth the effort because it is delicious. Here’s a link to the recipe we used. Happily my son told me ours was just as good as the real thing!